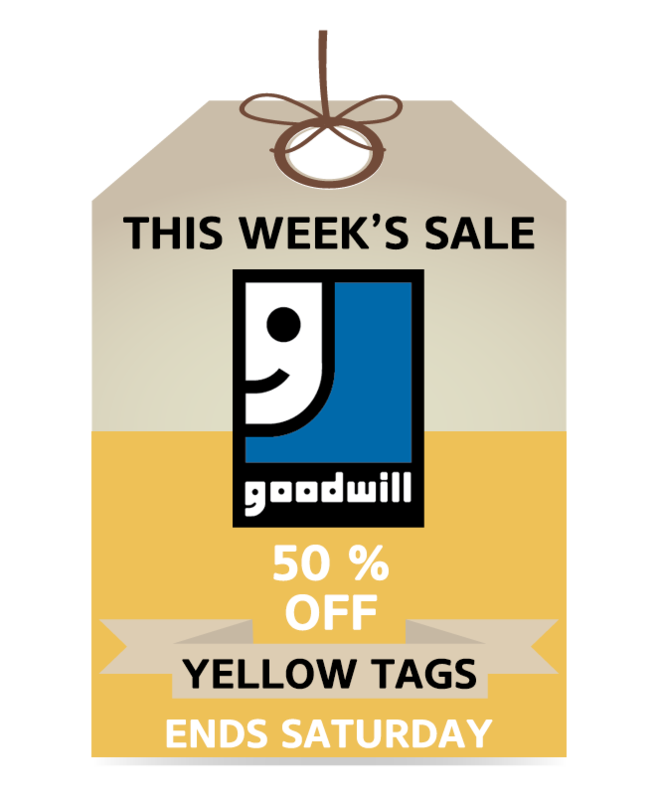 Goodwill accepts clothes, household goods and your time. There are many ways you can get involved with our mission and support programs that connect Albertans with disabilities to meaningful employment. When you donate to Goodwill you also contribute to reducing our communities’ environmental footprint. Check out all the ways that you can get involved. 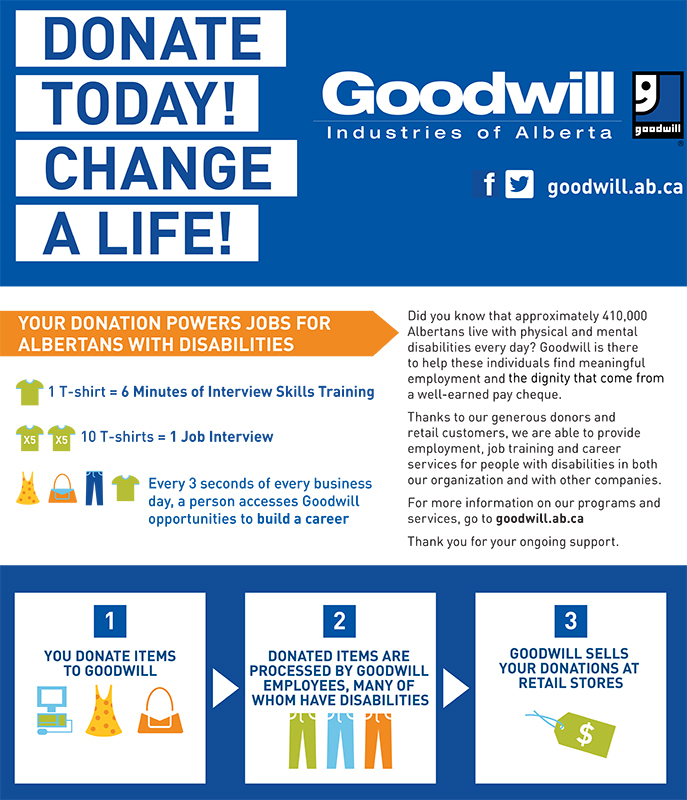 When you donate to Goodwill, you support programs that connect Albertans with disabilities to meaningful employment. Goodwill Industries of Alberta makes a difference in your community. Your generously donated items are sold in our stores and the revenue generated provides employment opportunities for Albertans with disabilities. We work hard to ensure each donation makes the biggest impact on those we serve. Throughout Alberta you will find 14 Goodwill retail thrift stores and 24 donation centers. Each facility is staffed by Goodwillians who believe “We are Family.”We care about each other and work to achieve employment success for Albertans with disabilities. By supporting Goodwill and our mission, you are strengthening communities, strengthening families, and changing lives! When you donate to Goodwill, you not only support your community, but you also do good for planet earth. Donating ensures that your items aren’t thrown away in landfills, instead, they are re-sold in our thrift stores to people who can use them. Donation drives are an easy opportunity to build community spirit, care for the planet, and give to a worthwhile cause all while clearing out the clutter! We want to ensure your donation drive is easy, convenient and successful. Need a big truck? We have one. Posters and promotional materials? No problem! Our donation drive coordinators will work with you to customize your event. If these kits are helpful but your team needs something tailored to fit your event or group, please contact us and we’ll make it happen! We look forward to working with you to ensure you are successful in achieving your donation goals! Thank you! Maybe you’re searching for that perfect piece to add to your wardrobe? When you thrift shop at Goodwill- a nonprofit – you not only save money on unique items but you help connect Albertans with disabilities to meaningful employment. 88.8% of our revenues go into supporting our employment programs. With thousands of new donations coming in everyday, the selection in our thrift stores is ever-changing. Whether you’re an upcycling fashionista, thrift shopping on a budget or love hunting for antiques and collectibles, you never know what unexpected one-of-a-kind items you’ll find! 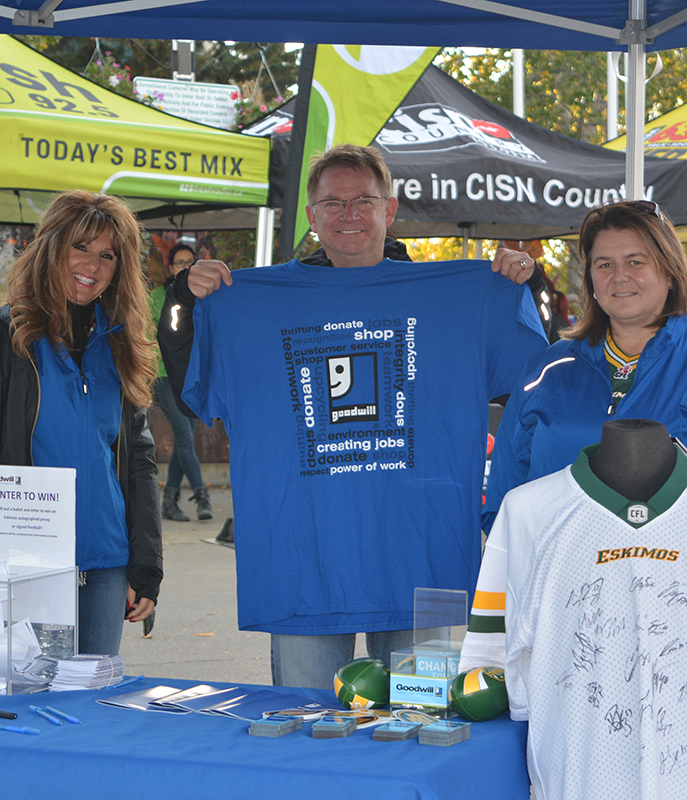 Thank you for shopping at Goodwill-one of the largest employers of Albertans with disabilities. 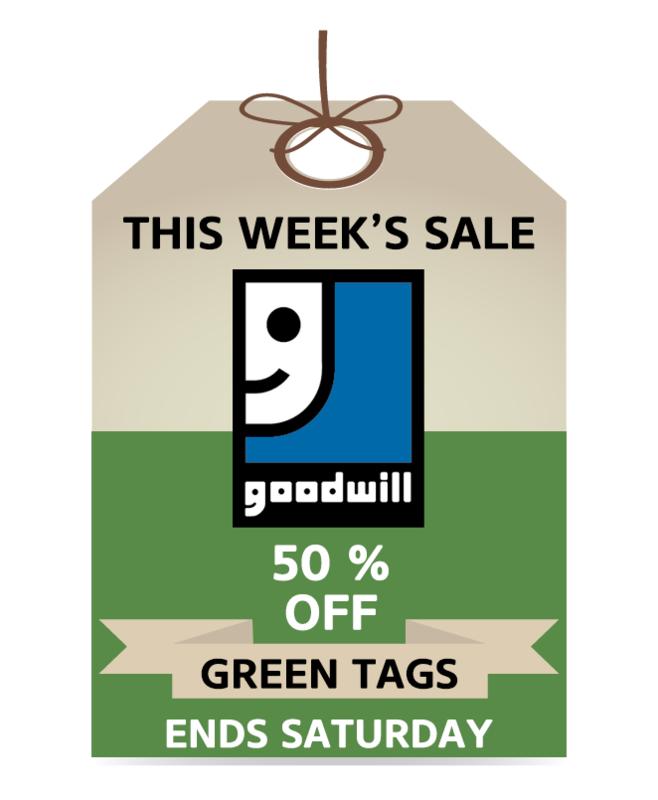 When you shop at Goodwill you reuse goods and you help the environment by keeping items out of the landfill. 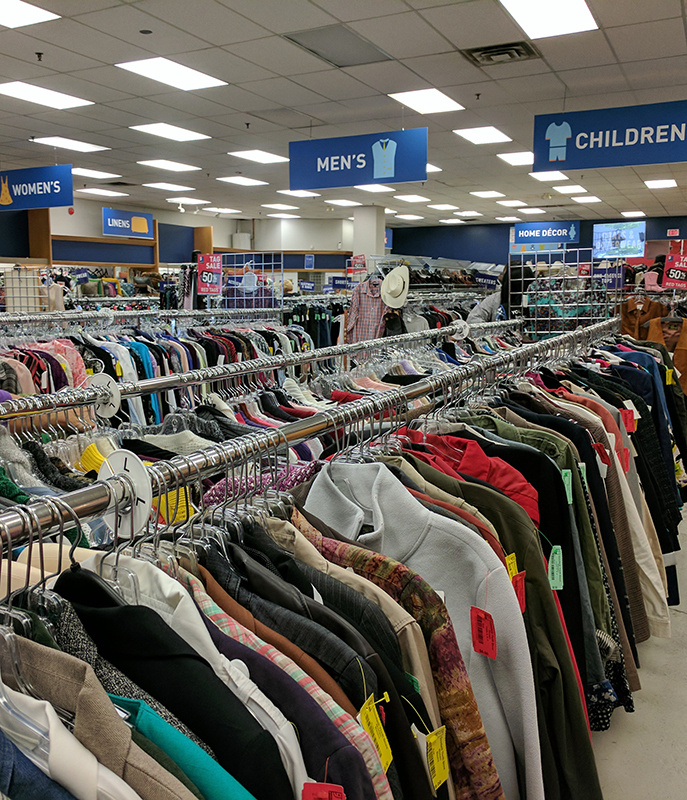 We need YOU to help our community experience Goodwill’s mission! You can volunteer to sort donations, organize our Goodwill stores, and so much more. Goodwill sells and recycles donated goods, keeping tons of stuff out of landfills each year and the proceeds from the sales provide job training and services to people with disabilities. We believe that strong communities are made up of individuals whose dignity is affirmed by meaningful work. The more people who donate, thrift shop, and volunteer for Goodwill, the stronger our community because! Please consider sharing YOUR talent and a bit of your time! Our mission is to change the lives of people with disabilities and disadvantages by turning household donations and other resources into training and jobs.